Living in New England, we have a problem with low humidity in the winter. The cold dry air of winter does a job on your skin and nasal passages and generally makes for an unpleasant time. To combat this, a number of years ago we bought a humidifier from Sears. It’s a pretty simple device, you fill the tank with water which pools on the bottom of the humidifier and a strong fan evaporates the water, sucking it through a filter dispersing it around the house. Outside of being a little on the noisy side when it’s running full bore, it does a pretty good job of improving the air quality. Little maintenance is required to keep it running; an occasional cleaning and the replacement of an $18 dollar filter is all that is needed. Yesterday, we decided it was time to replace the filter. My wife going out already so I gave her the part number and asked her to stop at Sears along the way to pick one up. When she returned, she reported that they had none in stock. No big deal, we’d just try another Sears. I jumped on the Internet to see if one of the other local stores had one. No dice. In fact, their website reported that no stores within fifty miles carried them so we decided to order one online instead. Nope. Sears had none in stock, but luckily Amazon did. How can this be? It’s a Sears humidifier, Sears filter, and yet I was only able to get a replacement from their competition. This is crazy. The executives as Sears should be ashamed at collecting a pay check. 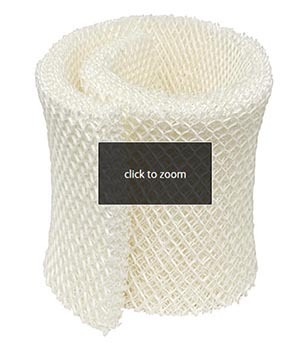 These filters are low cost items that probably have a pretty big margin, they are widely used and a guaranteed sale during the winter months. How can they not have these available in their stores? It will be sad the day that Sears finally goes out of business, but it won’t be unexpected. They have had opportunity after opportunity to compete, but their incompetent management seems hell bent on sinking the company. It’s a sad thing.